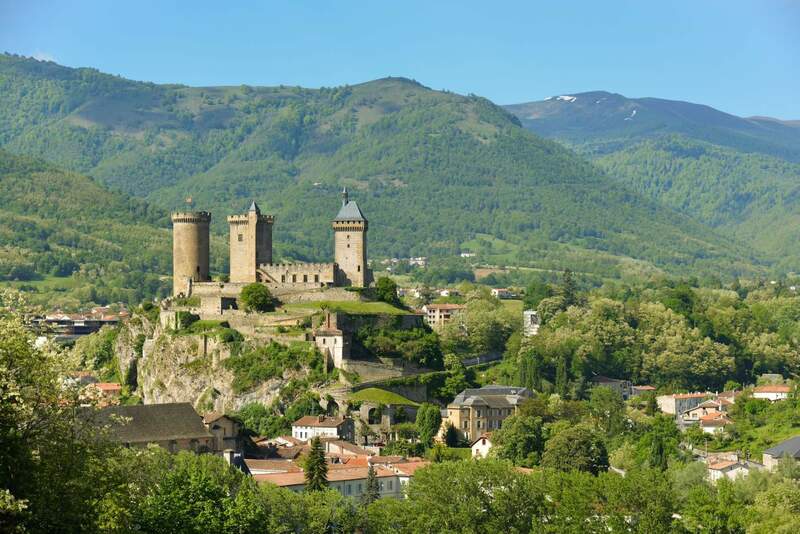 Medieval monuments, vineyards, villages of character, the Canal du Midi and huge beaches, the Narbonnaise Regional Nature Park, there is a host of natural and architectural sites to discover and activities to enjoy in the Aude Pays Cathar region. Our team is at your disposal to help you prepare your visits and excursions. 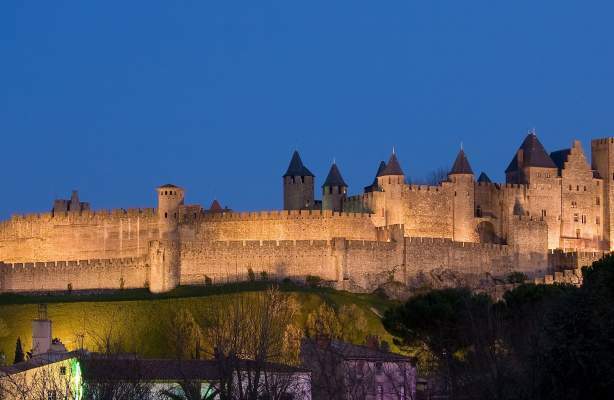 The walled city of Carcassonne: simple and proud, it is eternal. A UNESCO World Heritage site, the medieval walled city is a major French and international tourist site. 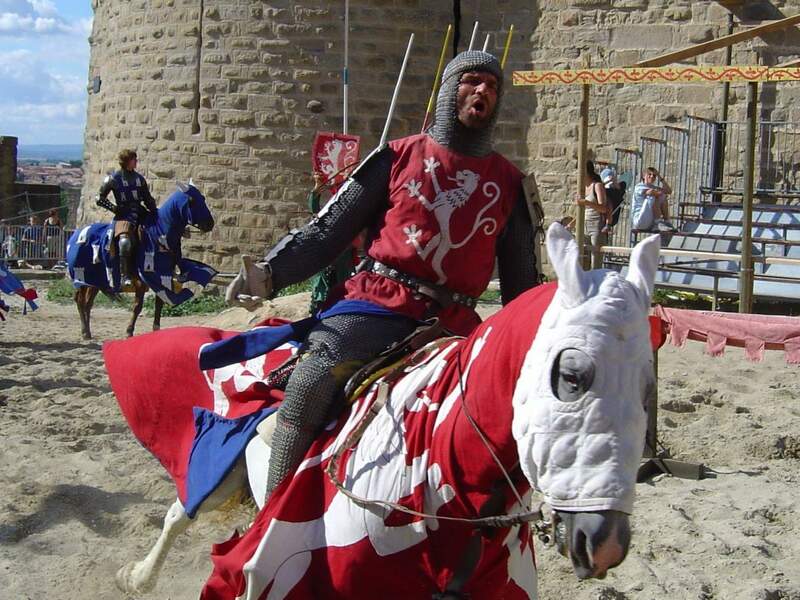 Visit the Counts' Castle located at its heart, stroll around its streets and walk along the ramparts. 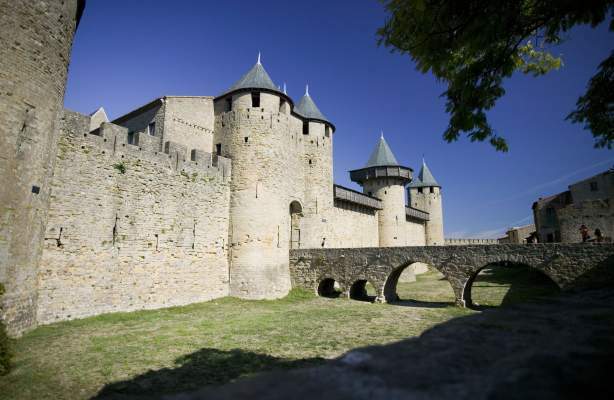 The walled city of Carcassonne is the largest fortified town in Europe that is so well preserved. The Cathar Castles bear witness to a turbulent past. Today, all that is left of these fortresses are the remains perched on rocky hilltops that the Cathars believed to be impregnable. Climb up to these sites that are particularly difficult to access and enjoy the superb landscapes and their pure and simple beauty. The experience is unforgettable. The Canal du Midi was built in the 17th century. Its role was to carry water from the Montagne Noire to the Mediterranean. Since then, it has become an integral part of the landscape which it has shaped, and of the daily life of the towns and villages it passes through. Set out to discover it on the water or along the footpaths that follow its course. Charm and treasures to be savoured. The Canal du Midi is a UNESCO World Heritage site. 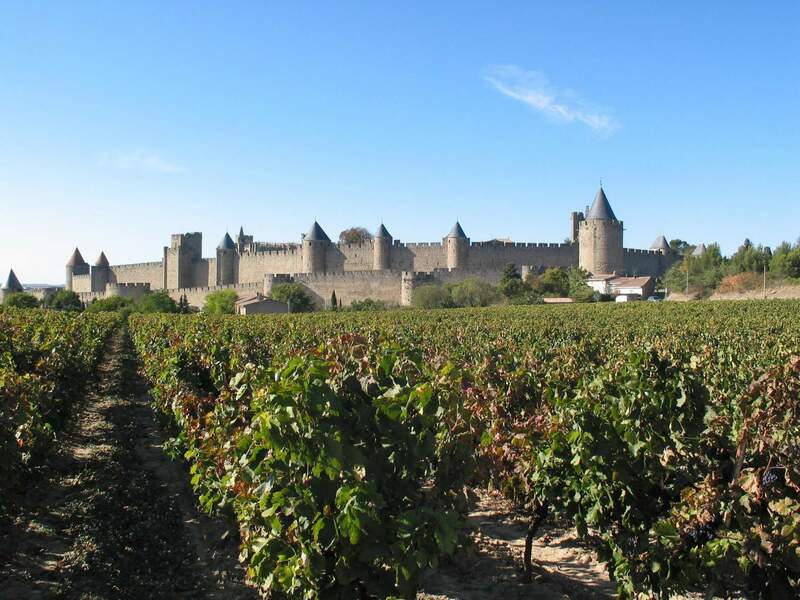 The Minervois Vineyard benefits from an AOC and AOP appellation. 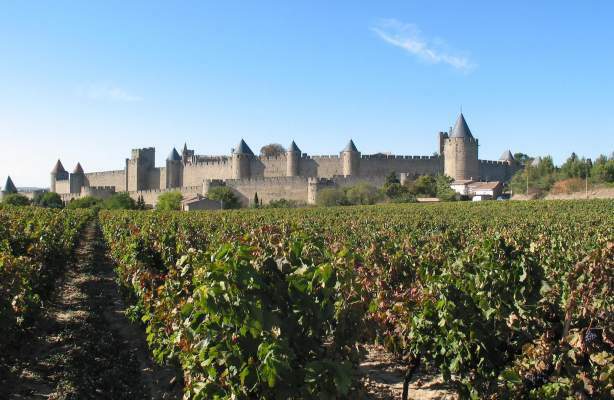 It lies at the foot of the Montagne Noire, covers an area of 5,000 hectares, and faces south. Over the seasons, the vineyards offer a variety of magnificent colours. Discover the wine estates and castles, meet the men and women devoted to their craft, who hold an ancient know-how within their hands. 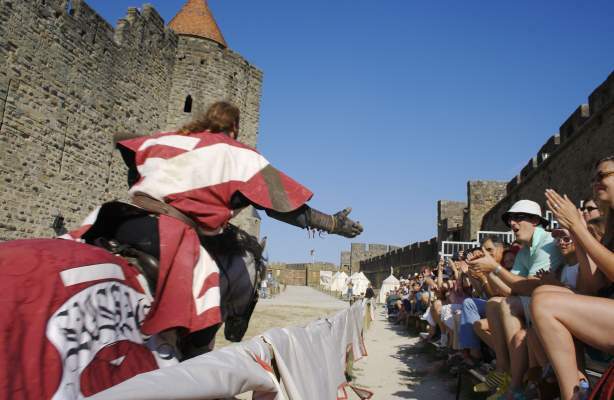 Set out to visit the old fortified towns built during the crusade against the Albigeois between the 12th and 14th centuries, in order to protect the Cathars or "Perfects". Discover their daily world and way of life through the faithful reconstructions in Lastours, Montségur, Termes, Puilaurens, Puivert, Saissac, Villerouge Termenes. Benedictine and Cistercian abbeys, masterpieces of religious architecture, were established in the region from the 8th century onwards. Remarkably well-preserved, the abbeys of Fontfroide, Lagrasse and Villelongue will delight you. 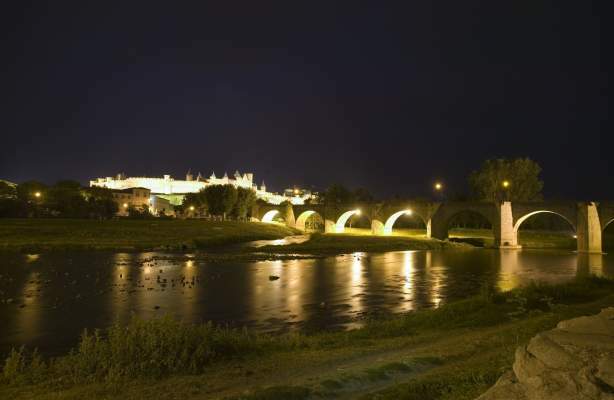 Aude is a land of contrasts where plains and hills, rivers and valleys, sea and mountains come together. Astonishing landscapes, sometimes shaped by humans or carved out by the rivers and swept by the winds. The underground world is outstanding in Aude. Do not miss a visit to the Limousis caves or the giant chasm of Cabrespine. * to be consumed in moderation. To accompany these wines, naturally we recommend cassoulet as well as Oulibo olives or truffles from the Montagne Noire. A treat! All year round, you will be able to enjoy a festive and cultural tradition that brings you into contact with the local population but which is also open to the world. 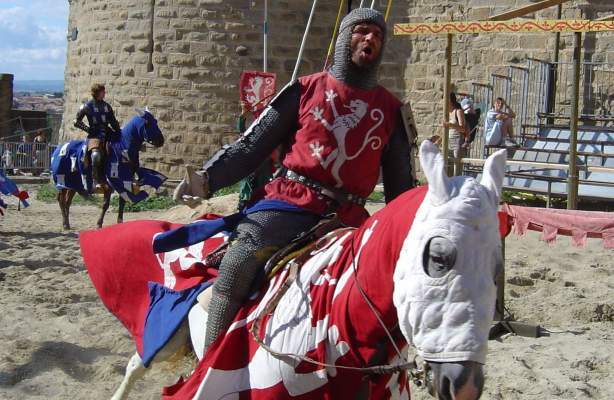 In winter: the Limoux Carnival; the poultry fairs of Lauragais and the Montagne Noire; the Truffle Festival; the Magic of Christmas and Saint Nicholas Day in Carcassonne. 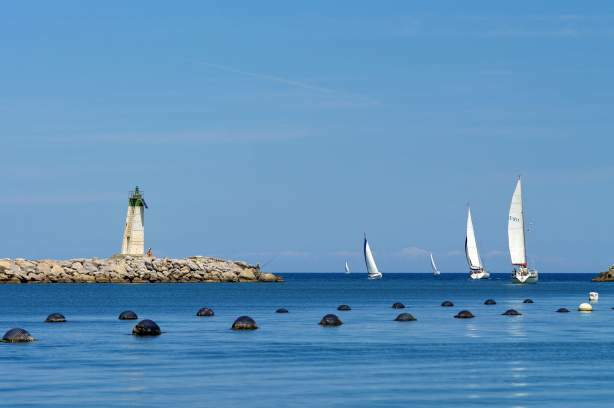 In spring: top-level sporting events such as the Défi Wind in Gruissan; Toques et Clochers which, every year, pays homage to a village and a vineyard. 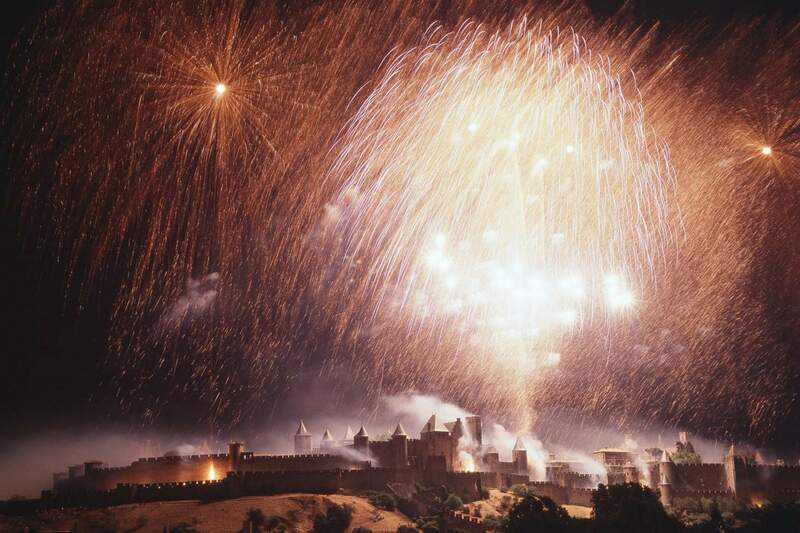 In summer: the Festival de la Citéet de la Bastide in Carcassonne welcomes internationally famous artists; the Blaze of the Medieval City; Spanish week in Carcassonne; ferias in the villages of Minervois; the Cassoulet festival in Castelnaudary. In autumn: the grape harvest festivities throughout the region. 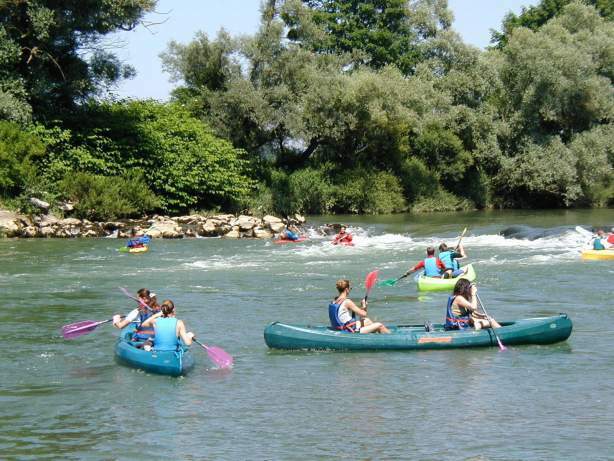 All sports and leisure activities can be enjoyed in Aude, a land of rugby and board sports. Something for all ages, all tastes and all levels! 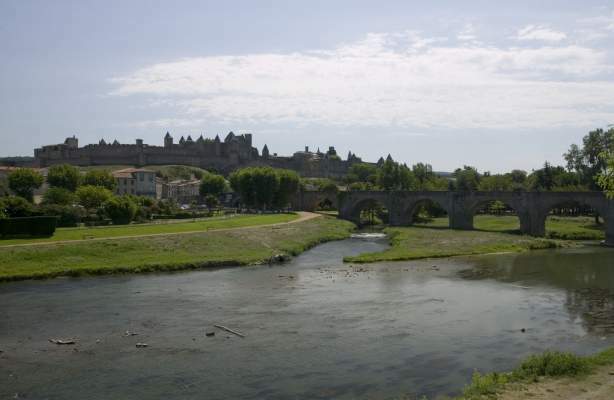 Walking and hiking: relatively undeveloped with wide-open spaces, the preserved natural environment of Aude is ideal for nature lovers and for day-long or week-long walks. Not to be missed: the Sentier Cathare in Corbières. 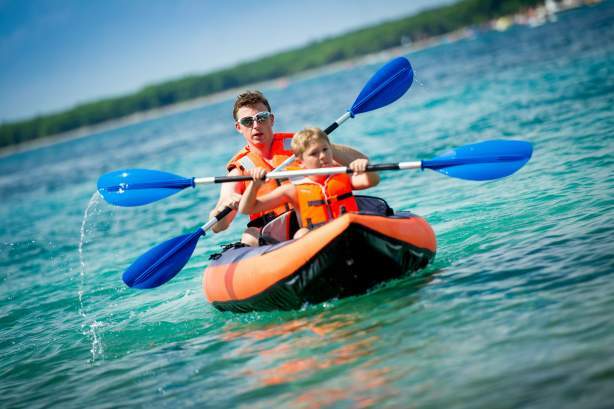 Board sports: white water sports (canoe, kayak and canyoning on the Aude river or in the Galamus gorges), windsurfing or kitesurfing on the lagoons and beaches of the coast. 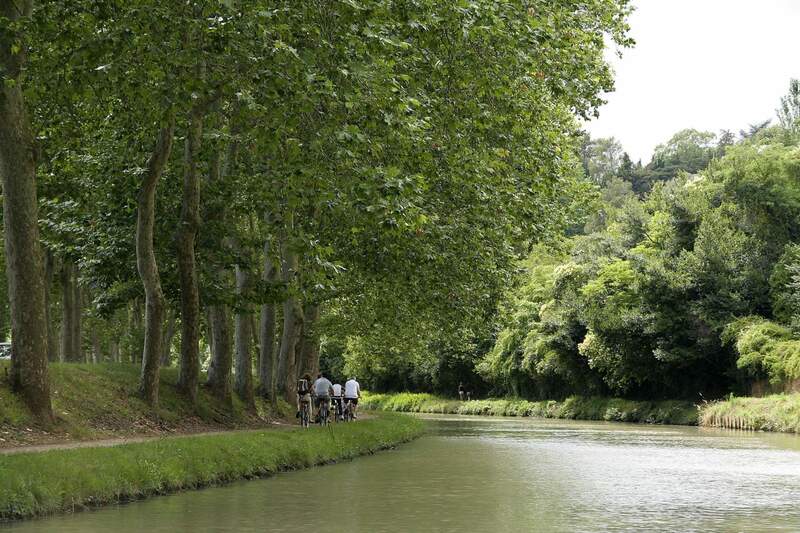 Cycling: the towpath along the Canal du Midi is one of the most popular cycle routes in France. Many mountain bike trails are available throughout the region. And also: rock-climbing, fishing, hunting, pot-holing, etc. 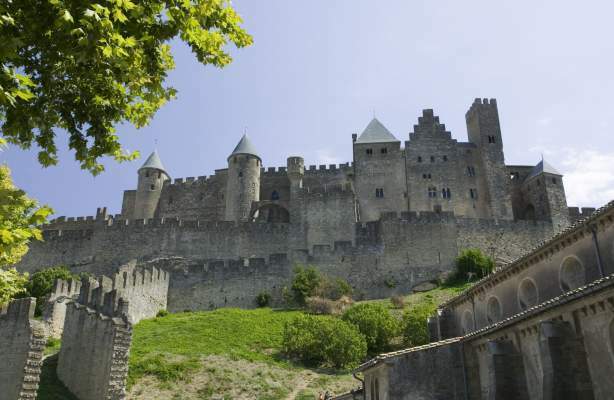 In Carcassonne: the medieval walled city, a genuine attraction park where activities and museums based on a medieval theme will delight young and old alike. At Cavayère lake, bathing, water games, tree climbing adventure park, or picnic areas. A circumference of 5 km and an idyllic setting. Kangaroos are bred at the Australian park. The castles of Lastours offer an enchanting sound and light show and a dizzying walk. 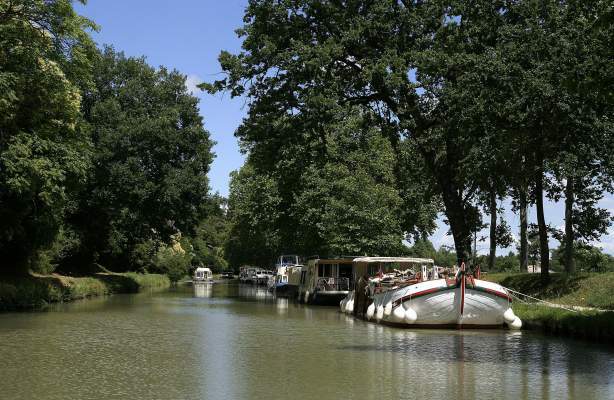 An outing on a barge along the Canal du Midi will offer a refreshing break. The Montagne Noire holds many treasures for visitors: caves, waterfalls, authentic villages.